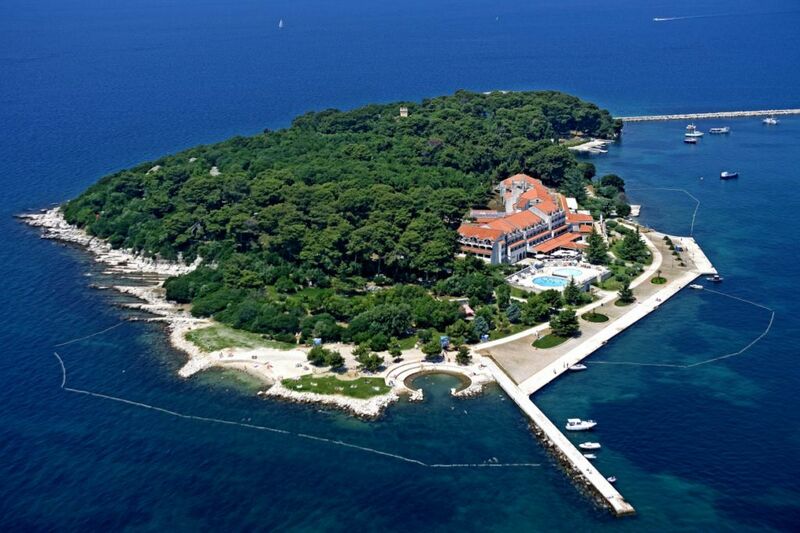 Fortuna Island Hotel*** is situated on a beautiful small island Sveti Nikola which is located in the sea in front of Porec. 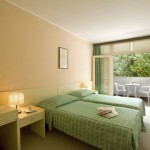 The hotel is a perfect place for people who want to spend a really relaxing vacation and still being close to the city center. The Island Sveti Nikola can be reached with a small boat, the sailing trip takes about 5 minutes, and the boat, which is free of charge for the hotel guests, leaves every 30 minutes. 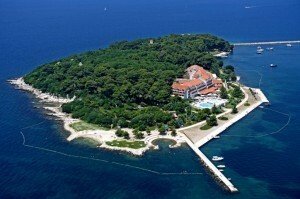 For the guests of the Fortuna Island Hotel, there is a private parking area available in Porec (no charge). There are 187 rooms on 4 floors. 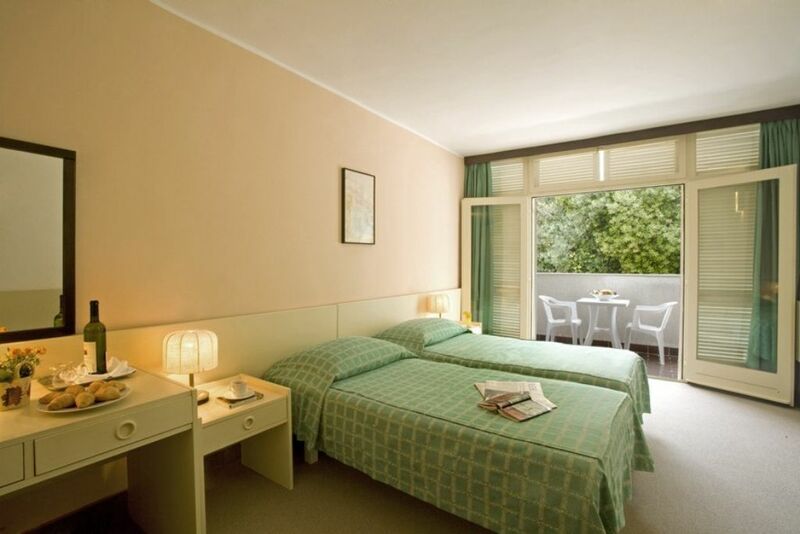 All rooms are air conditioned and comfortable and modernly decorated, rooms are available with park view on the beautiful Mediterranean vegetation or with sea view overlooking the Mediterranean Sea and the promenade of Porec. All rooms are equipped with SAT-TV, direct dial telephone, bathroom, hairdryer and majority of rooms have a balcony or a terrace, rooms sizes very from 14 to 24m2 occupying 1 to 4 persons. In the lobby area, there is a newspaper and hotel shop, for those who wants to check their e-mails, there is an internet corner and free Wi-Fi internet in the lobby area, other services like excursion booking, currency exchange are available in the lobby. 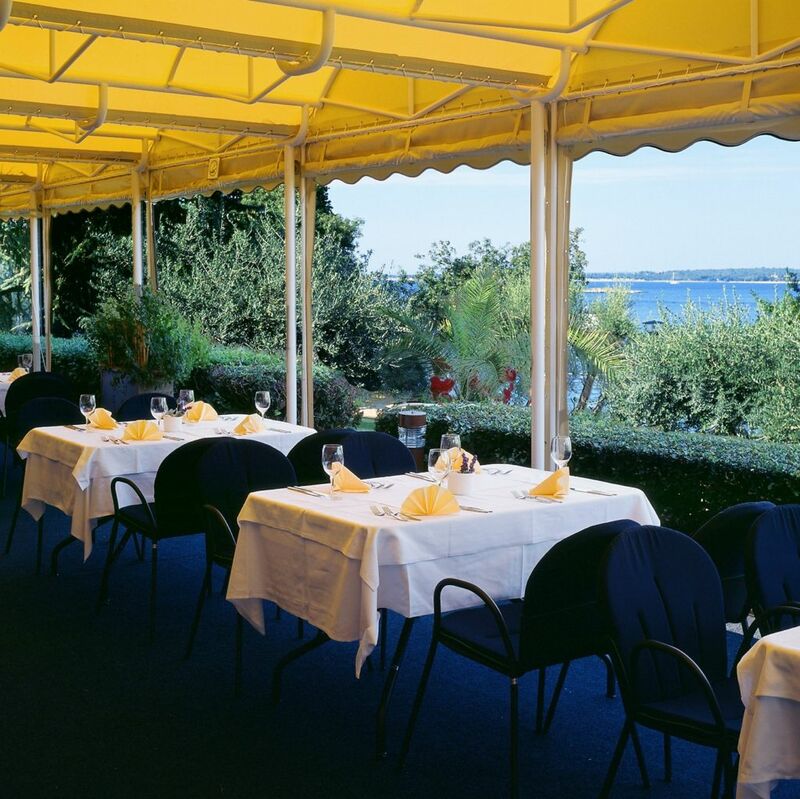 Guests of this hotel can enjoy their dinner in air conditioned show cooking restaurant, where also the rich breakfast buffet is served, next to the pool there is a grill restaurant with out seating, the culinary offer also include to small Bistros and a lobby bar. Guests of Hotel Fortuna can enjoy in two outdoor swimming pools with sea water, one of the pool is for the children, deckchair available free of charge for the hotel guest. Less then 50 from the hotel, there is a blue flag pebble and rocky beach. Sports center is located next to the beach, on guests disposal are many sports facilities, like tennis, table tennis, different water sports. In the morning there is a possibility to participate in morning workout and aqua aerobic, for the kids the Animation team runs a mini club and also a swimming school. In the evening, the Valamar Animation team runs a variety of shows and music events.